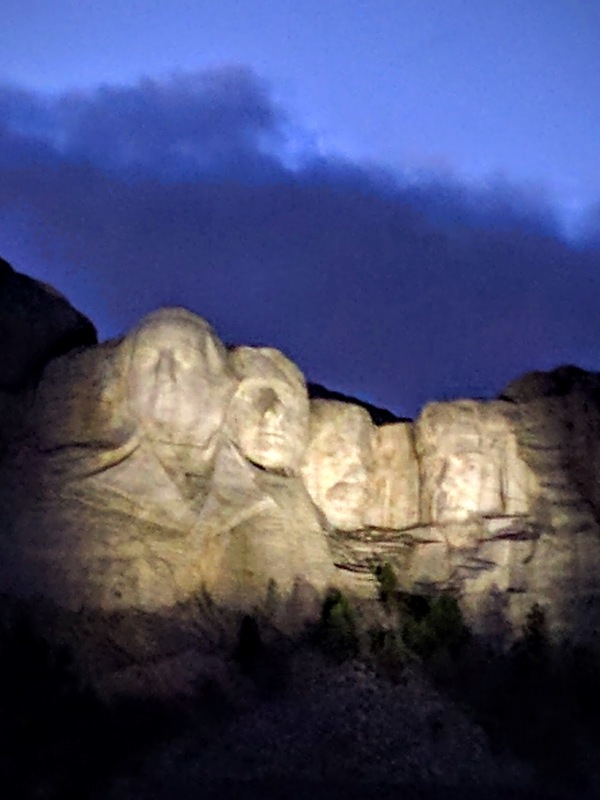 In our tour of all the states this year, South Dakota is the 42nd state. 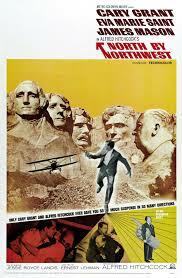 The film we’re watching in South Dakota, Alfred Hitchcock’s 1959 thriller North by Northwest, ranks 40th on the American Film Institute’s list of all time best films. Cary Grant, in the film, is also taking a cross country trip. There’s nothing about churches in the film; the only spiritual element I noticed was when James Mason’s housekeeper says “God bless you!” Both characters are evil, and both try to murder Cary Grant, so I don’t think the blessing comes from a place of theological sincerity. Another film uses Mount Rushmore as the conclusion of a cross country chase, 2007’s National Treasure: Book of Secrets. Sorry, Nic Cage, you’re no Cary Grant. Another contemporary thriller set more fully in South Dakota is 1998’s Mercury Rising, in which Bruce Willis must protect an autistic boy who has secrets the bad guys desire. It was filmed partly in Sturgis, South Dakota. The majority of films set in South Dakota are Westerns. Last year’s Academy Award winning film, The Revenant (about a wilderness guide left for dead in the Dakotas) was not filmed in South Dakota but in Canada. Leonardo DiCaprio won an Oscar for playing a historical figure, Hugh Glass, in the film. The story had been told on the screen before, in 1971’s Man in the Wilderness -- in which Richard Harris played Glass. But that film was made in Spain. Many other westerns have been set in South Dakota but not filmed in the state. Little Big Man, in which Dustin Hoffman played the world’s oldest Indian (could that casting happen today? ), has scenes in Deadwood, but was filmed in Montana and Canada. Would it really be easier to film in Montana than on location in Deadwood? The 1953 western musical Calamity Jane with Doris Day and Howard Keel was (not surprisingly) all filmed in Hollywood studios. 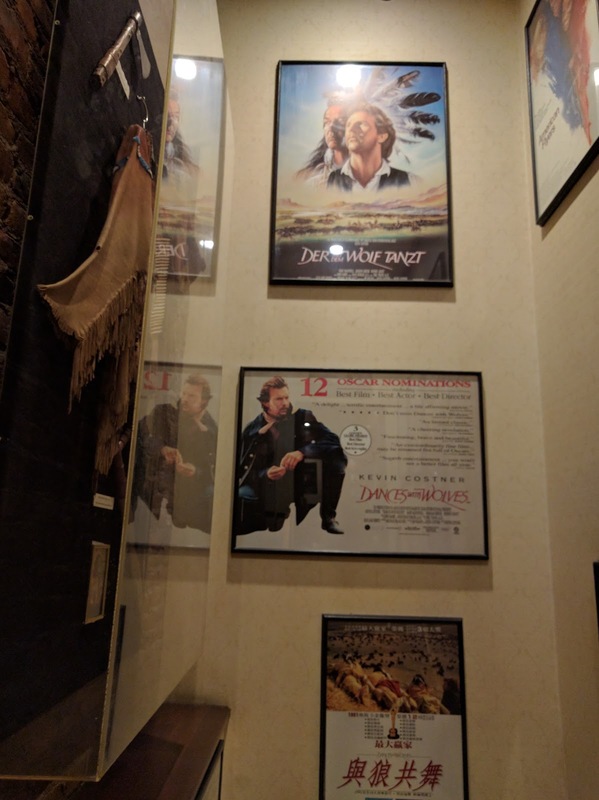 There was one acclaimed western that was set and filmed in South Dakota: 1990’s Dances with Wolves. It won the Oscar for Best Picture and Best Director (for Kevin Costner, who also starred in the film). 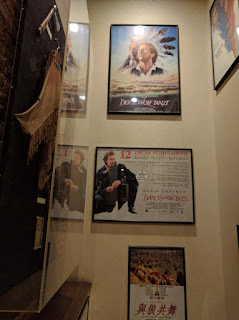 While making the film on location, Kevin Costner lodged at times in the Franklin Hotel in Deadwood. We stayed in the Franklin when we were in Deadwood, and slept across the hall from the room dedicated to the star. There are a couple of other films with contemporary stories that had the feel of a Western. 1973’s critically acclaimed Badlands introduced the world to director Terrence Mallick. Sissy Spacek and Martin Sheen played young outlaws from South Dakota, but the film was made in Colorado. But 1992’s Thunderheart, directed by Michael Apted, was filmed in South Dakota. The story of an FBI agent sent to an Indian reservation to investigate a political murder dealt with the struggles of contemporary Native American life. Filming took place at the Pine Ridge Reservation (called “Bear Creek Reservation” in the film). Both Badlands National Park and Wounded Knee were also used as filming locations.